Why me? I am playing the long game, and my first priority is Building Trust with my clients, that's why I am known for my Transparency, Integrity and Fairness! Absolute legend. Would rehire again (and have already) – he stuck to the deadline which was a tight one and turned around feedback fast. I strongly recommend! My second project with Yahya and just as impressed. I’m not even bothering to open new projects up to bids, I will be hiring him straight away. I highly recommend his work ethic, skills and communication. Yahya has been an invaluable support for TANF for many years sharing his exceptional web development, coding, UX skills, and out-of-the-box interface thinking to make TANF not only have a website but assure the needed functionality any charity or NGO needs in today’s interconnected world. Thanks to the new website, its new features and multiple integrations we are finally able to share our mission, raise funds effortlessly and give all our sponsors and volunteers an attractive and user-friendly way to access information about our impact, events and the multiple projects we are running. I am privileged to have met Yahya and for having the chance to get beyond-expected support in turning my fact-showing websites into trendy, professional-looking and feature-packed platforms, not only showing static info but actually working for me: Automating many processes, adding multiple integrations, creating a pleasant experience for the visitors while capturing interested leads to my sales funnel. I will definitely continue working with Yahya in the future, as he provides not only high-quality of work, but a very structured co-development process and all done in a fraction of time, offering incredible speed of making things happen. Very helpful Freelancer! Found a solution to a very stubborn issue and resolved the matter promptly. Highly professional and always willing to help! Wow, best experience on freelancer.com. This guy is awesome and listen to your need. He is definitely one of the BEST freelancers I’ve worked with. Fantastic work with excellent communication and best of all, he is totally reliable and cares about resolving issues and providing the best support. You will not regret if you choose him for your project. I will definitely hire him again for my next project. Yahya Elharony proved to be the person I needed for my project and more, he was professional and delivered more than I requested as well as offered tips on how to further improve my product which was extremely welcome coming from an expert who knows what is what. Thank you Yahya! 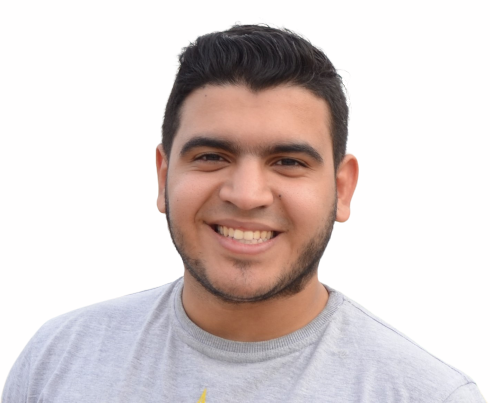 DISCLAIMER: Yahya Elharony is a Freelance Web Developer, he is not taking responsibility for any website he built for a client locally and/or globally. You are solely responsible for your own moves and decisions to use any website mentioned on this site, those websites aren't under the control of Yahya Elharony, including and without limitation: The nature of each site, Content, Payments, and the availability of their service!